The Edge LX7000 frame provides for a stylish ultra slim whiteboard... enhance it further with a coloured edge for contrast. 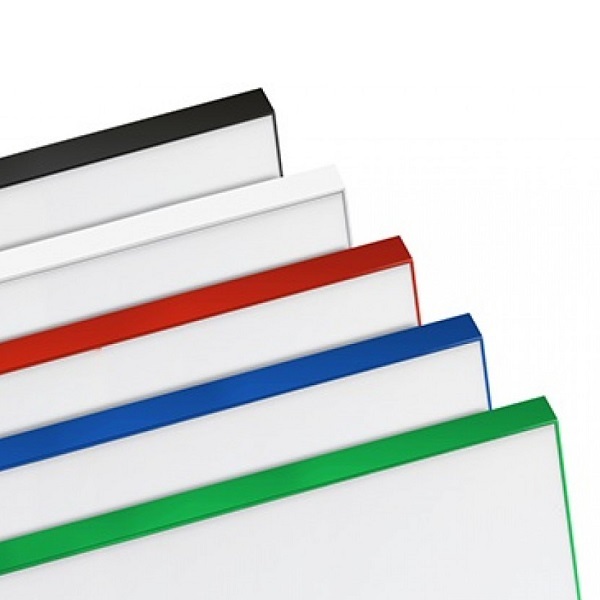 COLOUR EDGED ultra slim magnetic whiteboards available with satin silver, pearl white, blue, green, red, yellow or black accents. Powder coated edgeless frame with rear mounting split battens completely hide all fixtures from the board face providing a totally clean and visually appealing look. 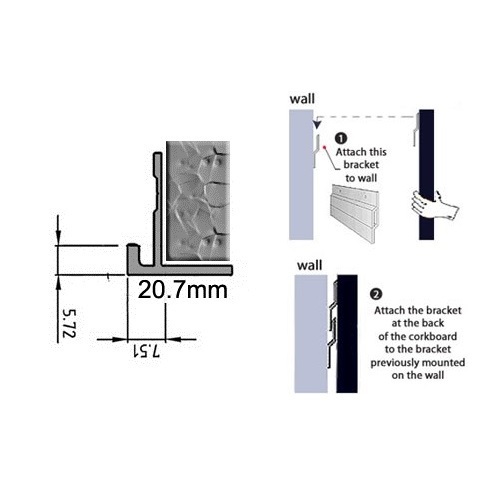 Split Battens are slim aluminum plates designed to provide a concealed fixing for installation. One fixing is attached to the back of the board and the other to the wall allowing them to interlock. 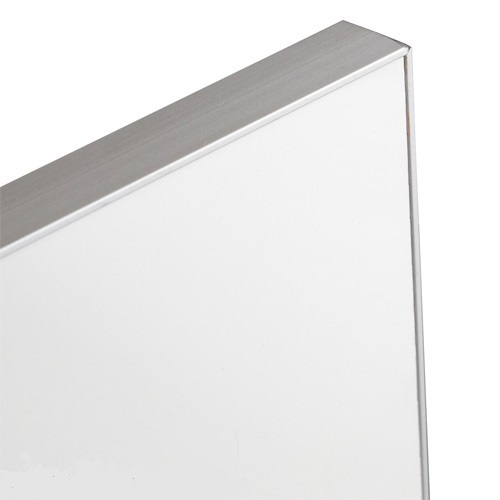 Magnetic whiteboard surface with 8 year guarantee under normal usage and conditions. The Edge LX7000 designer frame is supplied as standard in either Pearl White or Black - but you can order your choice of powder coated accent colours - please contact us if you wish to order a custom colour. 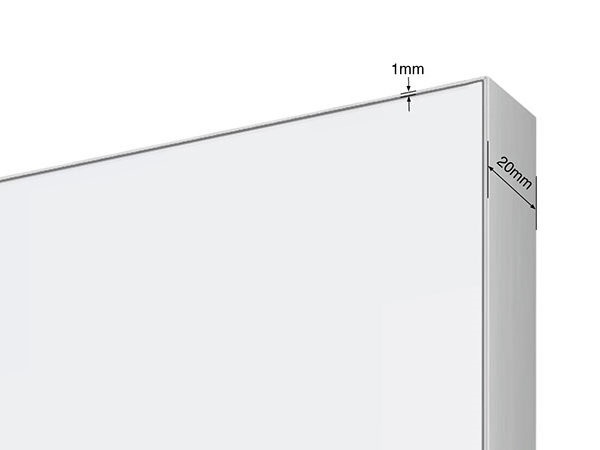 Our whiteboard panels can be matched with any glassboard, notice board or material panel required also using the Edge LX7000 slim frame to fully integrate with your office décor. Our COLOUR EDGED LX7000 Magnetic Whiteboards are 'Made To Order' (MTO) - please allow 7-10 days for manufacture.